The bottom line of the “Duck Dynasty” controversy may be that marketers shouldn’t underestimate the power of “red state” shoppers. After cable network A&E suspended Robertson for his remarks, a curious thing happened. Unlike other celebrity scandals involving offensive remarks (think of Paula Deen’s admission of using racist epithets), Robertson’s fans are waging a vigorous counterattack against the public outcry over his remarks. Support is so strong that Cracker Barrel reversed its decision to halt selling “Duck Dynasty”-branded gear. "Most people like the fact that [the show] is real. Phil is real," Hans Wilz of Great Ideas, which makes “Duck Dynasty”-scented candles, told USA Today. "Most people are OK with that." Cracker Barrel (CBRL) backtracked on a decision to stop selling “Duck Dynasty” merchandise last weekend, after customers complained. What Cracker Barrel discovered is that the cultural divide separating America — often viewed as a “red” state versus “blue” state issue, or conservative compared with liberal — is demonstrating a tenacious reach into consumers’ pocketbooks. While gay-rights groups like GLAAD ask consumers and businesses to rethink supporting celebrities with anti-gay views, consumers with conservative or religious views may be just as likely to put their dollars behind the same stars. 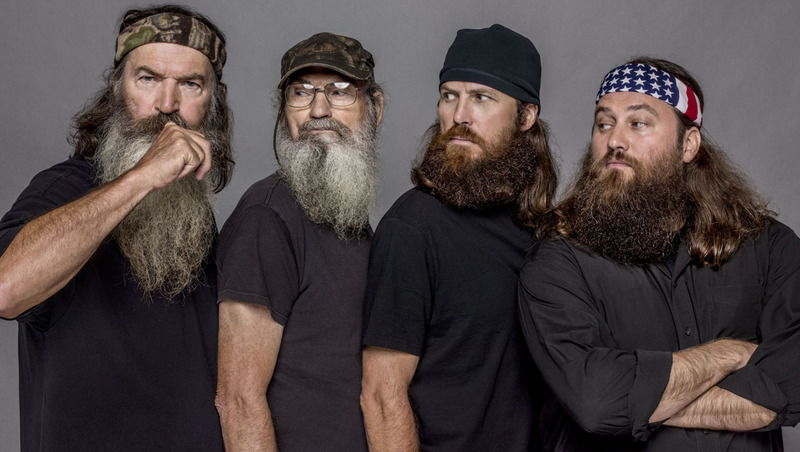 There’s a lot at stake for “Duck Dynasty” and A&E. The reality show booked almost $80 million in advertising sales for the show this year through September, according to the Bloomberg news service. For stores such as Walmart (WMT), “Duck Dynasty” merchandise has proven to be a hit, generating about $400 million in sales, according to Forbes. As for A&E, the network may ride that cultural gulf all the way to the bank. The network is planning a Christmas marathon of “Duck Dynasty” episodes, which will feature Robertson in many of the installments, Fox News notes.